Your Marketing Plan should answer these 10 Questions!! 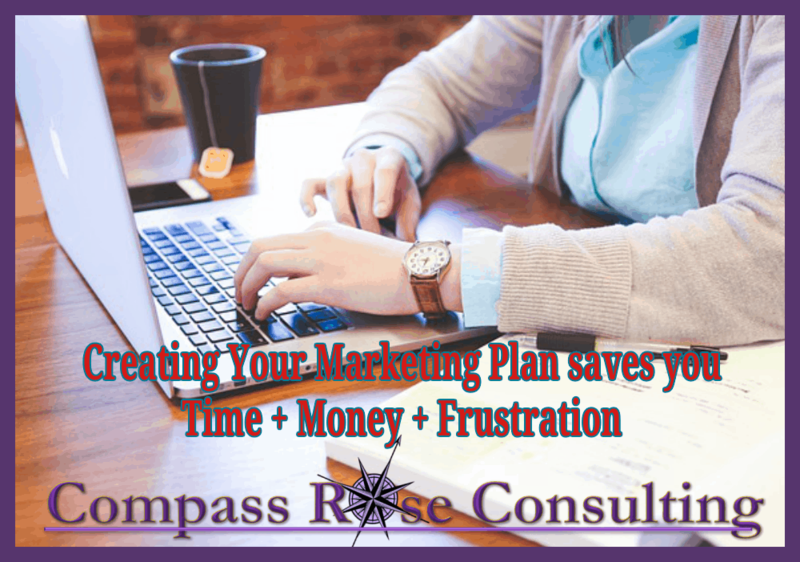 Marketing plans are often neglected or ignored by business owners. But putting together a good marketing plan can actually SAVE you thousands and make you even more, because planning keeps you on track and focused. In putting together a good marketing plan you need to ask yourself and answer ten questions! Part of your marketing plan is a description of your company. This should include your target market, products and services, unique value proposition, and your mission or vision. And finally – your mission statement – why do you do what you do? What is at the core of your business? This is your mission. Your marketing plan should include an assessment of your business. A good way to do this is through SWOT analysis. SWOT creates an analysis of your business in terms of four factors – Strengths, Weaknesses, Opportunities, and Threats. Start off looking at WHAT you do really well…. 3. What are your marketing goals? Your marketing goals are a subset of your business goals. They outline specific goals you need to achieve on the marketing side of your business in order to reach your overall business goals. Marketing goals should follow the SMART criteria that we use for business goals. 4. How is your marketing tracked? No matter how amazing and ambitious your goals sound, if you can’t track them, then you’re just shooting in the dark and won’t know where to shift your efforts with change. 5. What are your 4 P’s? The 4 P’s are Product, Price, Place, and Promotion. We can use the 4 Ps to take a marketing objective and create an actual roadmap of concrete tactics which, once implemented, will help you to attain your business goals. Product – Your products or services; in other words, what you’re offering. Price – The price at which you set the product. This price should conform to the market and its expectations. Place – Where you can put your offer in front of your market. This includes distribution channels and all other factors involved in getting the goods to buyers. Promotion – How you can promote the product and spread the word. 6. What initiatives do you expect to complete? From a quarterly perspective, what are the marketing initiatives you hope to achieve this year? What are your goals? 7. What resources are needed for each initiative? Get clear on what you have and what you need to achieve the goals and initiatives that you set out. 8. What is your marketing budget? As a general guideline, your marketing budget should be 1% to 10% of sales. Of course, when you’re just starting out, your marketing budget should be whatever you can afford. But if you’re a new business, you should expect to spend closer to 10% than 1% on marketing. You may even want to spend more. As you are developing your marketing budget you need to look at your costs and fixed expenses. Do NOT spend your future revenue. Spend only money that you have. Be conservative. 9. What are your ongoing activities: blogging, social media, advertising, email. Don’t forget to consider your ongoing marketing activities that run throughout the year. These activities still need to be planned, budgeted and tracked. 10. What is your executive summary? At the top of your marketing plan should be an executive summary. This is a summary of your entire marketing plan. It spells out the basics and the sections of your plan explain each in detail. The executive summary should be short and concise without any of the minutiae. It should allow the reader to take in the entire plan at a glance. Although the executive summary goes at the top, it should be the last thing you write. It’s much easier to write a summary of what you’ve already written than what you’re planning to write. Make sure you have answered the 10 questions with your marketing plan. If you haven’t then rework that marketing plan, chances are it is NOT working for you and is instead working to drain your bank account. A good marketing plan will give you a day to day action plan for promoting your business effectively. Learn how to put your marketing plan together. Don’t neglect it and use the hope and winging it strategy. They just do not work!